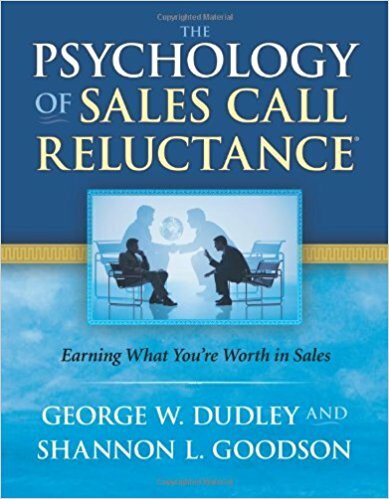 Back in 1979 two behavioural psychologists, George Dudley & Shannon Goodson, began their studies into researching, understanding & developing solutions to the problem known as sales reluctance. They discovered that discomfort & fears about various aspects of selling rather than a lack of ability were the largest single cause of under-performance in salespeople. If you fail to INITIATE contact, you fall at the first hurdle! "THE NUMBER OF CONTACTS INITIATED WITH PROSPECTIVE & EXISTING BUYERS ON A CONSISTENT BASIS"
For more details on their research, click here. ~ Good products and services sell themselves. ~ We don't sell - we form relationships. ~ Our company doesn't sell - it advises/consults. ~ Fear of rejection is the big problem for salespeople. ~ A positive mental attitude will bring sales success. ~ New business is the lifeblood of any company. ~ Selling is a numbers game - the more you contact, the more you will sell to. ~ Without prospective buyers, presentation and closing skills are worthless. ~ ......so are competitive products/services, salaries and expensive CRM systems. ~ Getting salespeople to sell, not showing them how to, is sales management's biggest challenge. ~ As absolutely vital as business development activity is to sales success, most salespeople don't or won't do enough of it. Dudley & Goodson have observed only one constant determiner of sales success: "THE NUMBER OF CONTACTS INITIATED WITH PROSPECTIVE & EXISTING BUYERS ON A CONSISTENT BASIS"
Do you recognise these different types of selling discomfort? Being overly negative and worrying too much - thus writing off opportunities for fear of an unsuccessful outcome. Too much time spent planning and preparing at the expense of time spent selling. CRM, LinkedIn etc. used more as a crutch than a tool. Lack of assertiveness due to the fear of coming across as pushy or intrusive. Over-emphasis on rapport-building rather than closing. A discomfort around initiating contact and dealing with senior-level people. Can lead to avoidance of the decision-makers. A discomfort around asking existing and prospective clients for recommendations, thus missing a rich source of warm leads. Avoiding telephone contact and instead favouring potentially less effective means of contact (e.g. email) - or no contact at all! ........and these other areas which also inhibit sales performance? A lack of energy, drive, commitment and resilience towards the vital business development aspect of the sales role. Trying to juggle too many tasks at the expense of the priorities. Can also mean short attention span and lack of 'stickability' in the role. A tendency to argue and blame others. Disruptive to other team members as well as one's own sales performance. Would you like to be able to pick up these traits in someone before you recruit them rather than several weeks into the role? Then click here for information on the SPQ*GOLD Profiling.